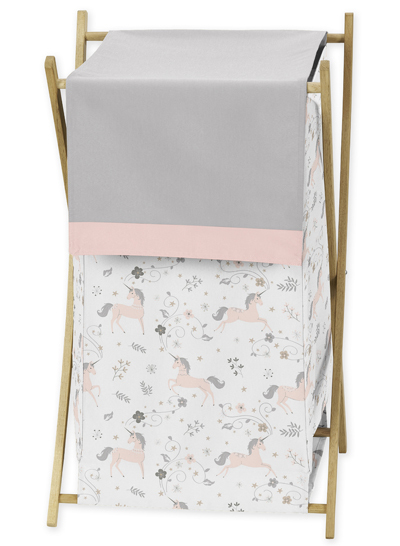 Unicorn Laundry Hamper will help complete the look of your Sweet Jojo Designs room. 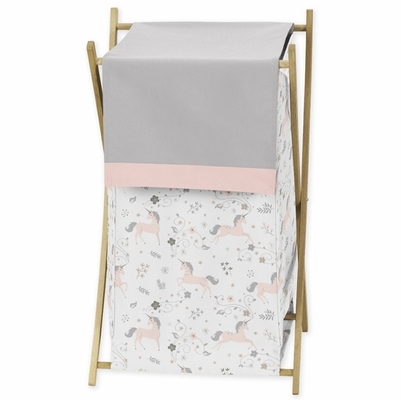 This adorable laundry clothes hamper includes a wooden frame, mesh liner and fabric cover. The wooden stand folds flat for space-saving storage and the removable mesh liner is great for toting laundry. Dimensions: 26.5in. x 15.5in. x 16in.